The first domestic water meters will be installed next month with a national roll out beginning in September, the new chief executive of Irish Water John Tierney has said. 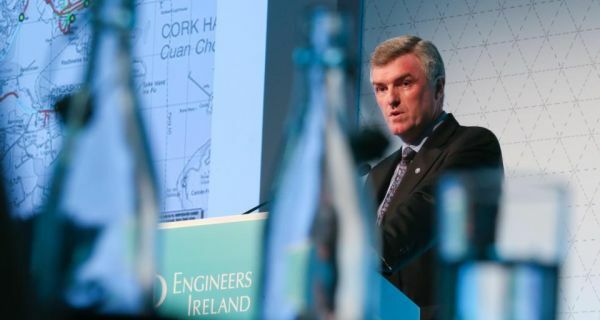 Speaking at the Engineers Ireland annual conference today, Mr Tierney said the new semi-State body hoped to have 100,000 water meters installed by the end of the year. The ultimate goal will be to have 1,050,000 households in the State metered by the end of 2016. Householders can expect two weeks notice prior to meters being installed, they will then get a reminder a couple of days beforehand and finally a note in relation to the completion of the work. He estimated that the disruption to supply during installation will be two hours “at worst”. The cost of water will be set by a new water regulator. The initial pricing will stay in place for two years and will be reviewed every five years after that. Mr Tierney anticipated metering will lead to a change of behaviour and less wastage among the public, pointing to the example of Denmark where water consumption dropped by 12.6 per cent between 1996 and 2007 after meters were installed. International comparisons show water levels dropped by about 10 per cent after metering, he told delegates. Mr Tierney also warned that current investment is water infrastructure is scarcely half of that needed to sustain a properly functioning system. He said €328 million will be spent this year, but €600 million a year is needed “to have any chance of dealing with the problems”. He described the current funding model as “not sustainable” and “simply unacceptable”. Mr Tierney said the decline in investment was storing up problems for the future, with a potential 14 per cent rise in population in 15 years. He also defended plans to take water from the River Shannon for Dublin, saying it will amount to just 2.5 per cent of the water flowing through Parteen near the head of the river. Mr O’Dowd said there was huge water wastage in Ireland reaching a level of 60 per cent in Co Roscommon while even Dublin, which had one of the best records in the country, has a water wastage level of about 25 per cent. He also said it was critical that Irish Water was accountable to the public and to theOireachtas that it should not become unaccountable like a “HSE on wheels”.